To download event photos, click here. BOCA RATON, FL (November 16, 2012)– The 2013 Allianz Championship, the first full-field PGA Champions Tour event of the season will tee-off with a celebrated roster of golf legends at The Old Course at Broken Sound Club from February 4th-10th for the seventh consecutive year in Boca Raton. 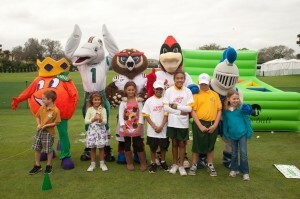 Tournament week is jam-packed with interactive “events within the event” before and during championship play with opportunities for “up close and personal” interaction with pros for golf fans of all ages. As the first in the early-season Florida swing, tournament play will include 2012 defending champion Corey Pavin, 2011 champion Tom Lehman (2011 and 2012 Charles Schwab Cup season-long points race winner), 2010 champion Bernhard Langer, Mark Calcavecchia, Fuzzy Zoeller and more, all vying for the winner’s share of a $1.8 million purse. Produced by the nonprofit Boca Raton Champions Golf Charities (BRCGC) board that oversees tournament operations, financials and distribution of all charitable funds, the Allianz Championship will continue to “chip-in” net proceeds to benefit the Boca Raton Regional Hospital. In addition to three days of championship play, the Allianz Championship features a Women’s Power Breakfast, Clinic & Pro-Am with LGPA legend and eight-time “Player of the Year” Annika Sorenstam; two days of Executive Pro-Am play pairing participants with PGA pros; a “social, power & play” opportunity at the “Grapes On The Green” Golf & Wine Experience held overlooking the 18thgreen during second round play; and the popular Saturday Family Day. LPGA legend with 72 LPGA victories and eight-time “player of the year” Annika Sorenstam will again get the ladies “into the swing” of championship golf and business networking at third annual Allianz Championship Executive Women’s Pro-Am. Sorenstam will tee-up expert golf and business tips at the Pro-Am “starter” breakfast that will include an “up close and personal” Q&A session. Following the power breakfast, women of all skill sets will enjoy a private group clinic with Sorenstam presented by JM Lexus, the opportunity to play nine holes with a PGA Champions Tour player, and attend the evening Allianz Championship Pro-Am Draw Party. Shotgun Starts: 7:15 a.m. and 12:45 p.m. Whether looking for a round of golf with buddies, or for client entertainment or employee recognition, a memorable day of corporate camaraderie and golf ensues as foursomes are paired with a PGA Champions Tour pro. Lunch and an invitation to the VIP Draw Party with Champions Tour legends on Feb. 5th are included. Each player also receives a premium gift package. As part of the Allianz Championship tournament event week, wine connoisseurs and golf enthusiasts will enjoy a perfect alfresco afternoon with legends of golf while sampling reds and whites from PGA pros’ own private vineyards and other popular wineries while overlooking the 18th green at the fourth annual “Grapes on the Green” Golf & Wine Experience presented by the Boca Raton Bridge Hotel. 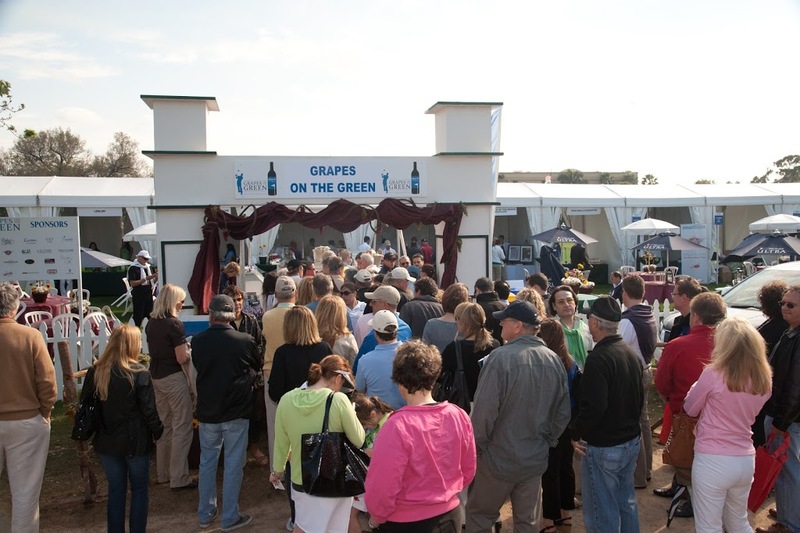 In addition to indulging in the varietals, attendees will indulge in culinary samplings from top area restaurants, have to opportunity to mingle with golf legends, enjoy live entertainment and have the chance to bid in a special VIP experience auction with proceeds to benefit charity. Premium ticket packages can be purchased for VIP and Skybox seating ranging from $75 to $175. Sponsorship packages include branded opportunities, premium seating, and a variety of invitation-only receptions, Pro-Am play, meet and greets with the legends of golf, etc. The Allianz Championship tournament is managed by Pro Links Sports, headquartered in Minneapolis, MN. Directing five tournaments on the Champions Tour schedule, all are continuously voted in the top ten tournaments by the players. This reputation attracts the top golfers on the PGA Championship Tour to Boca Raton, along with other legends of golf. For more tournament information, premium ticket packages, skybox seating and Grapes On The Green event tickets, call 561-241-GOLF (4653); fax 561-241-4658, or visit www.allianzchampionship.com. For Pro-Am registration and sponsorship package opportunities, contact Anthony Greco at 561-241-GOLF (4653) or email agreco@allianzchampionship.com. 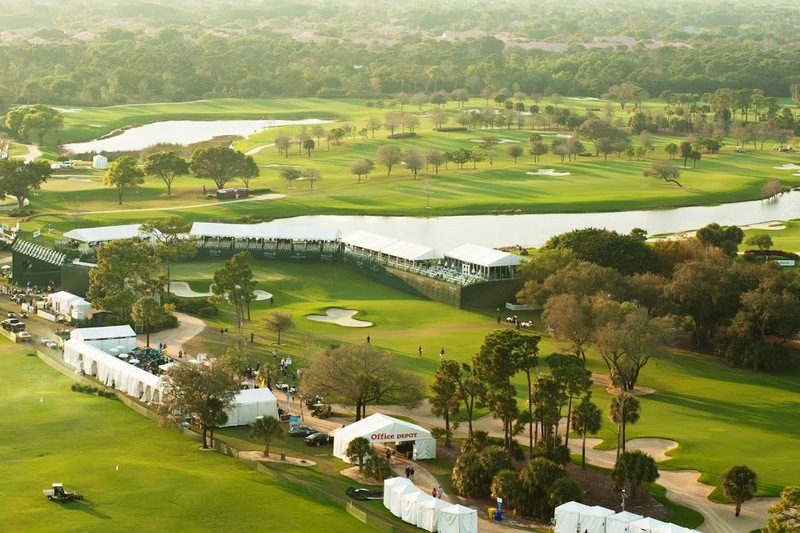 The 2013 Allianz Championship, in its seventh consecutive year at The Old Couse at Broken Sound, will bring the legends of golf to Boca Raton from February 4th to 10th for the first full-field PGA Champions Tour event of the season. Its 2012 champion Corey Pavin is set to defend his title as challengers Tom Lehman (2011 champion; 2011 and 2012 Schwab Cup winner); Bernhard Langer (2010 champion), Mark Calcavecchia, Fred Couples, Fuzzy Zoeller, vie for a $1.8 million purse with all three rounds televised live nationwide on The Golf Channel. 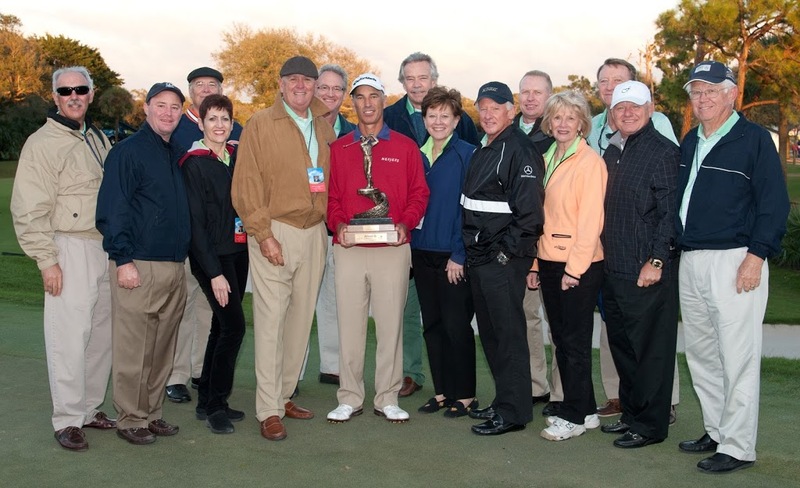 The Boca Raton Champions Golf Charities (BRCGC) serves as the operational and financial oversight group for the event as well as for the distribution of all charitable funds, as all net tournament proceeds “chip-in” to benefit Boca Raton Regional Hospital. Managed by Pro Links Sports with title sponsor Allianz Life insurance Company, the annual tournament has attracted 31 of the top 34 professionals on the money list. 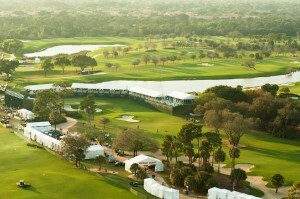 For skybox tickets and other hospitality, call: 561-241-GOLF (4653) or visit www.allianzchampionship.com.